Companies are increasingly using the best practices in cloud computing to internationally expand their services. Cloud computing helps businesses tap into new markets. However, the economic aspect is only one of the factors of demand. Improving performance including data speed, service up time, and enhanced security are equally essential elements. Any business can be uniquely positioned in the cloud computing ecosystem to meet their business goals. Cloud computing enables a company to reach their fundamental needs and it helps manage the global network of any business. For cloud services to be efficient, they need to provide consistent and reliable data networks. Speed is the essential element of cloud computing. 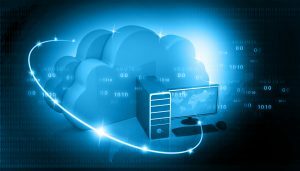 Efficient cloud computing services require cohesive and fast data networks, especially for applications that handle large graphics and require low latency. The cloud is a platform that offers remote services. These services are used to store information and run applications. It enables the use of online services and data on demand via simple internet access. The idea is to deport the processing on an outsourced infrastructure. It becomes redundant to install the software locally on each user station or on each server of a company. A significant benefits of cloud computing is that all systems are online. When the systems of a business are online, they are well connected. This makes the business more productive as a whole. IT departments only need to take care of the implementation of these solutions and their administration. The best practices in cloud computing offer flexibility. The services have become very flexible and can be altered according to the business needs of a company. Having a cloud service helps businesses to change their resource allocation in the production line. The best thing about a cloud service is that you are charged only what you consume. Another benefit of cloud computing is resource and file sharing in real time, anywhere in the world. Your business becomes agile and gains flexibility, something that was impossible before. The implementation of cloud computing requires proper infrastructure for smooth operations. A cloud computing service provides maintenance for all of the servers in your company. It offers regular service updates, making your business information safe, secure, and free from any cyber threats such as ransomware. It gives a chance for you and your employees to focus more efficiently on your business. Cloud computing optimizes the productivity of a company. The updates are automatic, do not cause service interruption, and regularly bring new optimizations and features. A cloud computing service provides increased protection over the traditional and internal infrastructure of a company. Keeping the cloud secure requires time, expertise, and an extensive budget. The best practices in cloud computing take care of the needed security measures. A cloud service provider provides regular updates related to essential security patches. The observed security standards for data are more rigorous and stringent in the environment of your cloud service provider. Security of your business data is the first priority, as a fault or alteration of customer data would cause irreparable damage to a business. It is considered one of the best practices for cloud computing to ensure that the cloud is safe. Cloud Computing allows better control of the costs related to your IT infrastructure. Your company adjusts the resources allocated to its support according to its needs by increasing or decreasing the resources available. Is Cloud Computing Putting Your Data At Risk?